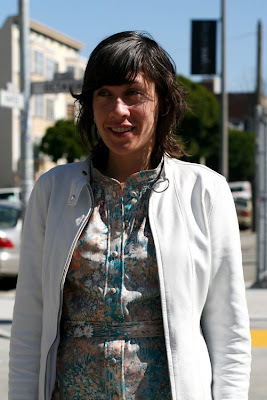 We spotted Amanda again. 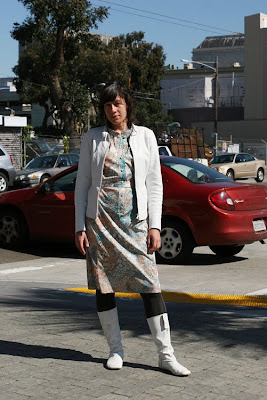 This time wearing a 1970s dress with a white leather jacket and matching boots. 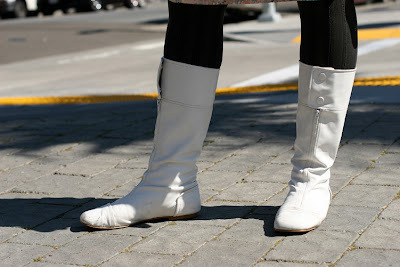 A look at her white leather boots.